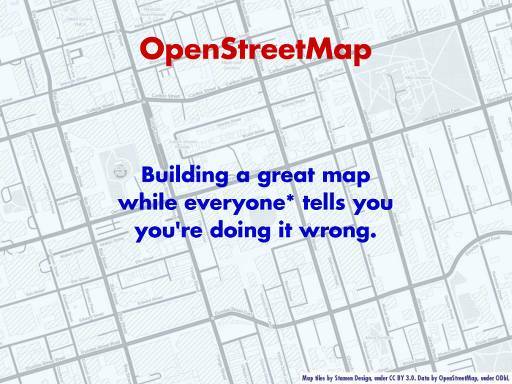 Title OpenStreetMap: Building a great map while everyone tells you you’re doing it wrong. ‘The Map’ — http://www.openstreetmap.org . It supports routing now, too. Original GTALUG note: OpenStreetMap links from the other night.